This is a Kyrielle Sonnet, inspired by my recent trip to SciFoo. 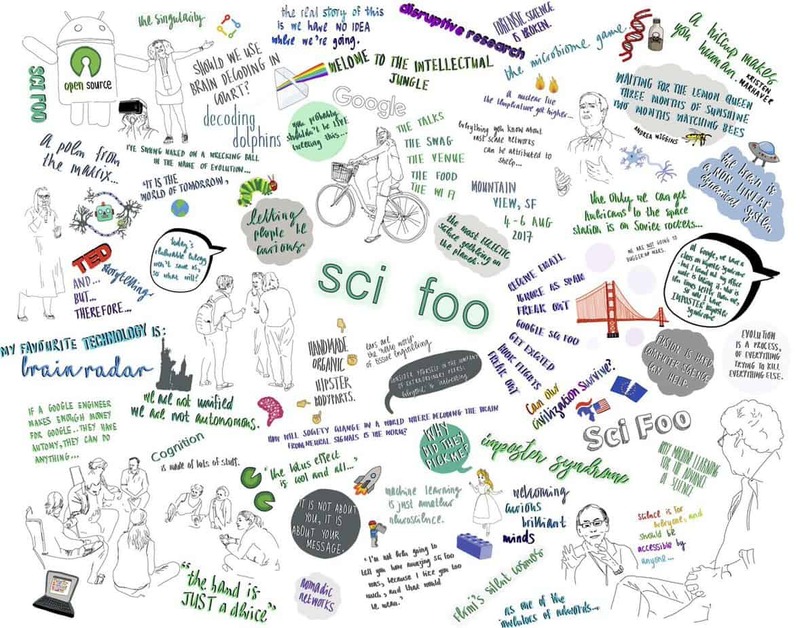 SciFoo is an event that is organized by O’Reilly Media, Digital Science, Nature Publishing Group and Google Inc., and which takes place annually at the Googleplex campus in Silicon Valley. It is basically a get together of some of the most brilliant scientific minds on the planet to discuss their research, plan new collaborations, and run interactive workshops; it is also an opportunity to meet the analogue version of social media handles that you follow and interact with digitally. Given that there was at least one Nobel Laureate and several millionaire tech geniuses in attendance, I can be forgiven a slight sense of self-doubt in regards to my own invitation. However, it was a really productive and inspiring experience, and listening to so many brilliant people talk about their research and talking to them about mine has given me enough ideas to be working on for the next half decade or so! It is very difficult to pick a single highlight of the event, but the research presented by Michael Frachetti into modelling the flow of sheep to uncover a hidden city on Asia’s ancient Silk Roads was a textbook example of the power of true interdisciplinary research.